NGC 281 is a bustling hub of star formation about 10,000 light years away. This composite image of optical and X-ray emission includes regions where new stars are forming and older regions containing stars about 3 million years old. The optical data (seen in red, orange, and yellow) show a small open cluster of stars, large lanes of obscuring gas and dust, and dense knots where stars may still be forming. 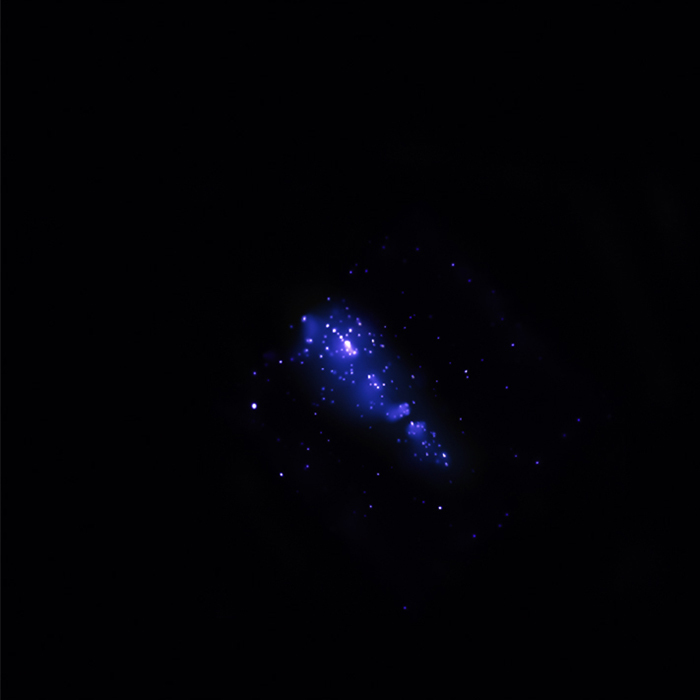 The X-ray data (purple), based on a Chandra observation lasting more than a day, shows a different view. More than 300 individual X-ray sources are seen, most of them associated with IC 1590, the central cluster. 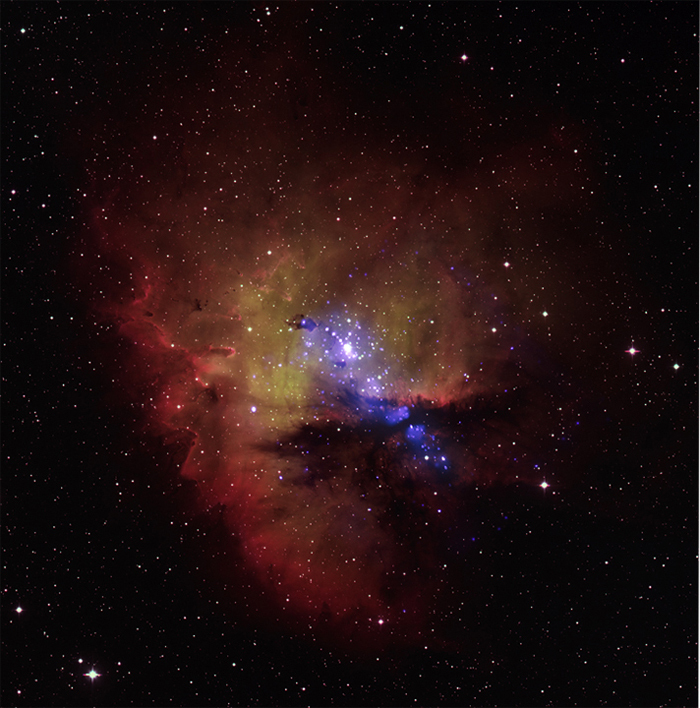 The edge-on aspect of NGC 281 allows scientists to study the effects of powerful X-rays on the gas in the region, the raw material for star formation. A second group of X-ray sources is seen on either side of a dense molecular cloud, known as NGC 281 West, a cool cloud of dust grains and gas, much of which is in the form of molecules. The bulk of the sources around the molecular cloud are coincident with emission from polycyclic aromatic hydrocarbons, a family of organic molecules containing carbon and hydrogen. There also appears to be cool diffuse gas associated with IC 1590 that extends toward NGC 281 West. The X-ray spectrum of this region shows that the gas is a few million degrees and contains significant amounts of magnesium, sulfur and silicon. The presence of these elements suggests that supernova recently went off in that area. Scale Image is 29 arcmin across. Coordinates (J2000) RA 00h 52m 59.35s | Dec +56° 37' 18.8"